The fastFIX mounting systems offer a quick effective alternative to other mounting systems, these roof anchors are for use with the fastFIX Mounting Rail for securely fixing an on-roof installation system to a plain tile roof. 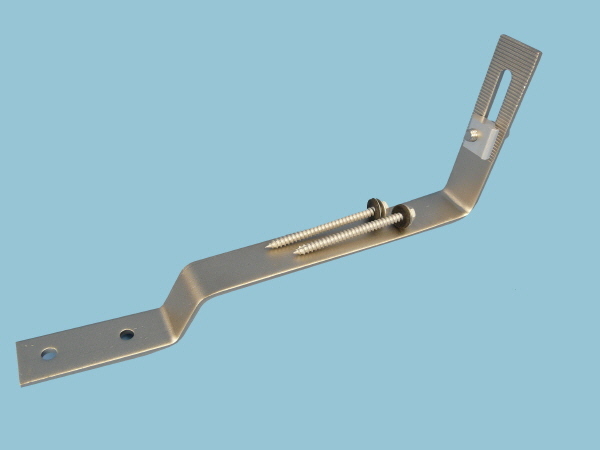 Each roof anchor comes with 2 x 65mm rafter screws, mounting rail bolt, washer and rail lock nut. Trade Discounts: Installers Contact Sales on 01508 488188 For Trade Prices.